Having known David Brailsford for a few years now, I had the chance to watch him grow his watchbrand Garrick. 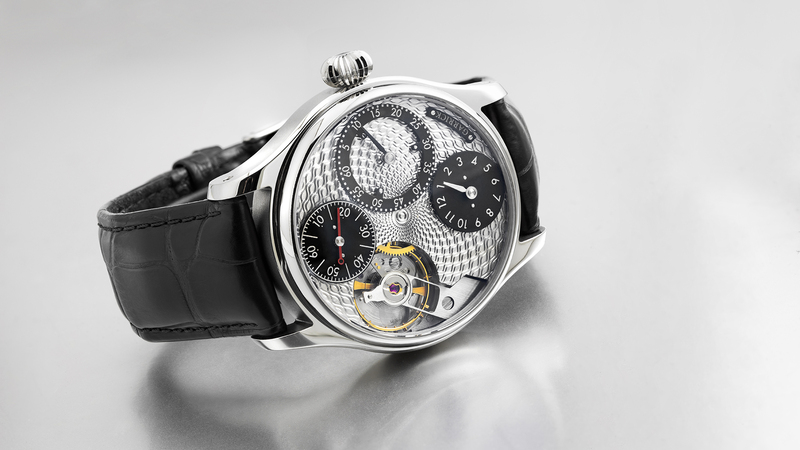 He is inspired by British horology in his approach although he has the help of Swiss watchmaker Andreas Strehler. Garrick’s watches have a unique appearance. They are different. Not different, because they want to be different, but because David envisioned them this way. Once again, Garrick showcases fine British craftsmanship with stylish aplomb. Garrick, the Norfolk-based watchmaker, once again, showcases British craftsmanship by offering its popular ‘Regulator’ with a remarkable handcrafted dial. The dial is adorned with an intricate motif formed using a rose engine lathe, imbuing the surface with a wondrous depth and three-dimensional allure. The work is undertaken in Great Britain by a time-served artisan, reinforcing Garrick’s belief that its home nation is a haven of peerless craftsmanship. In 2017, Garrick released new versions of its existing Portsmouth, each endowed with an engine-turned dial, often referred to as a ‘guilloché’ dial. The dials, offered in a selection of colours, featured a fan-type pattern and evinced a traditional appearance. Engine-turned dials are created using a rose-engine lathe. Different cams are used to influence the behaviour of the cutting-head which in turn infuses the dial surface with glorious patterns. While the lathe is referred to as an ‘engine’, no electrical or mechanical power is used, merely the careful application of hand pressure to a rotating wheel. The creation of each dial proves labour intensive but the resultant surface justifies the effort. Now, Garrick is pleased to unveil a series of new engine-turned dials for its Regulator model. Whereas, the aforementioned Portsmouth dials appeared classical, the new Regulator dials bristle with modernity. 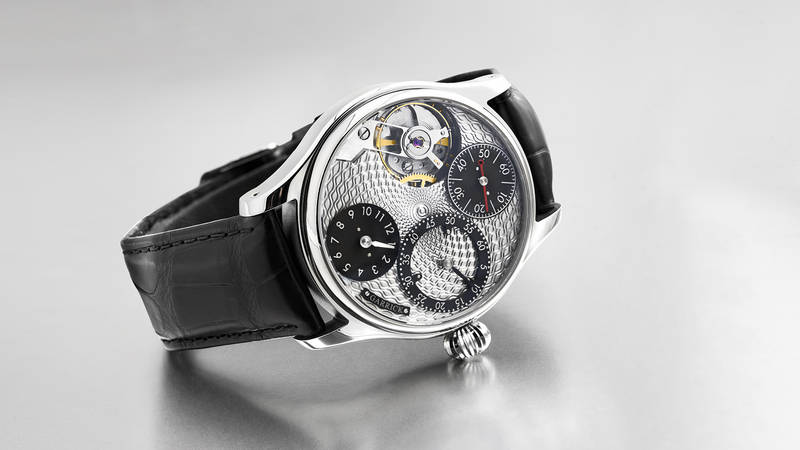 The circular barleycorn motif emanates from the centre, steadily increasing in size, enriching the dial vista with a lustrous and dynamic appearance. The separate indications of hours, minutes and seconds are presented in black and contrast beautifully with the silver hued dial. The movement is inverted with the balance wheel located at 10 o’clock. 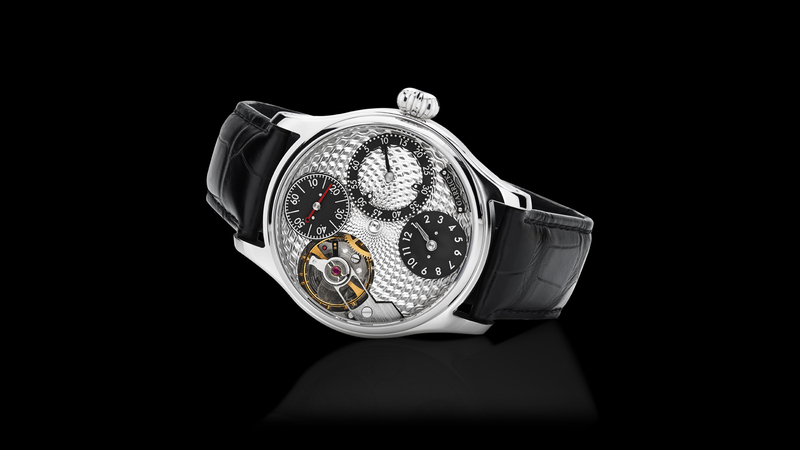 The openworked balance bridge allows the wearer to see the balance in flight, oscillating to and fro. A partial view of the centre wheel provides a reminder that the gear train sits just below the dial surface, efficiently transferring energy from the spring barrel. With its fastidiously polished British case, expertly finished hand wound Unitas movement and engine-turned dial, this Garrick timepiece showcases superb craftsmanship. Indeed, there is nothing regular about the Garrick Regulator and its engine-turned dial. Garrick timepieces are handcrafted in limited numbers by master watchmakers Craig Baird in their Norfolk workshop. 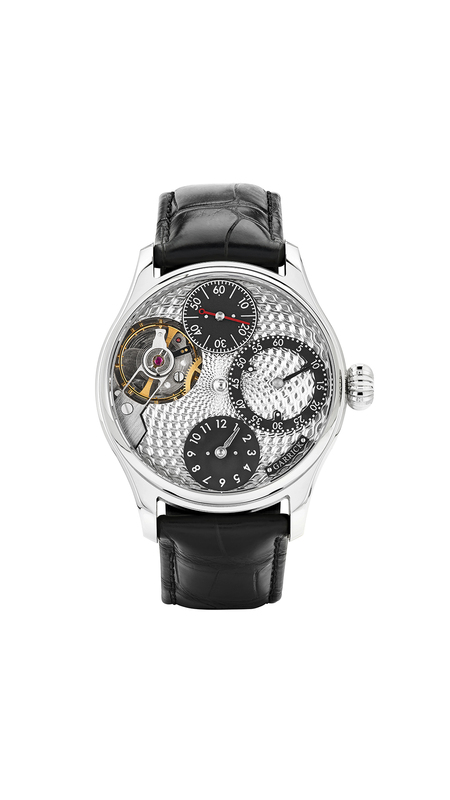 Case – 42mm 940l Stainless steel with a choice of finishes. Dial – Silver engine turned base in a choice of patterns and finishes. Hands – Handmade steel hands, frosted, polished or heat blued. Movement – Modified Unitas 6497 with screwed balance and unique gear train.